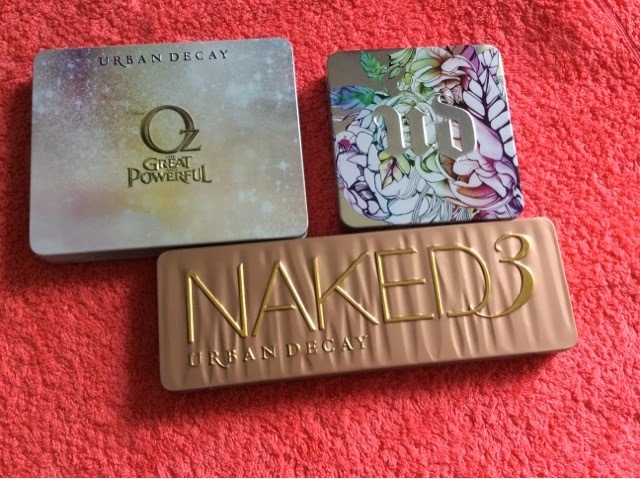 I am a fan of things that look beautiful and Urban Decay makeup palettes definitely fit that bill. They look amazing! I am a palette fan in general, I like the concept of a selection of eyeshadows, blushers etc all in one place. They are easy to store, no faffing about looking in your makeup stash and they are easy take with you wherever you need to go, no bags upon bags of loose makeup. So I thought I would show you the beauties that I have in my makeup collection. First of all the world renowned Naked palette. 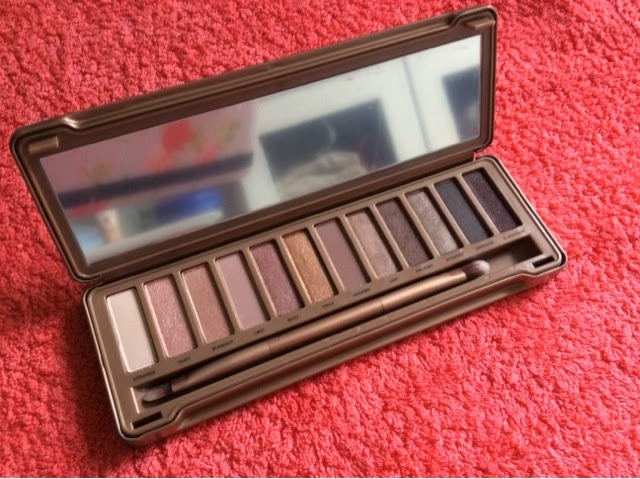 The Naked palette is probably one of the most well known, best selling makeup palettes ever. It comes in 3 subtly different shade ranges, Naked (the original), Naked 2 and Naked 3. I have the latter, Naked 3 which has pinker shades in it which are more flattering for my whiter than white complexion. 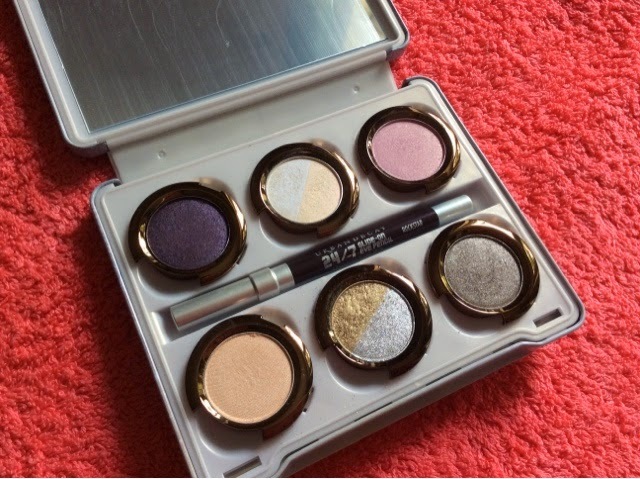 It has 12 eyeshadows in it, 3 of which are matte, the rest shimmery. It comes with a double-sided eyeshadow brush and did I mention that its metal container is SOOOOOO COOL! This palette costs £38 which equates to £3.16 per eyeshadow, not including the brush which is free with these sums, so when you look at it like that, its not a bad price. The next palette I have is/was a limited edition palette, so you know what that means, yep they don't stock it any more, Its the Oz The Great and Powerful Glinda palette. This was released to mark the 2013 film of the same name. This palette comes with 6 removable eyeshadow pans, 2 of which have 2 colours in them. The eyeshadow colours included are Tornado - shimmery purple, Aura - white with blue shimmer and peach with pink shimmer, Magic - shimmery lilac, Illusion - neutral beige shimmer, Oz - metallic gold and silver, and South - shimmery bronze. This palette also came with a 24/7 eyeliner pencil in Rockstar - dark purple shimmer. And a Super-Saturated high gloss lip colour in Glinda which is a shimmery, bronze-y neutral. I have no clue how much this palette was because I bought it ages ago and like I said, they no longer stock it. But I can tell you that it is lovely! And finally my last Urban Decay palette is a build your own number. My palette has a different pattern than the one that is out at the moment, which is great because if you want to get a second palette you can get one with a different design on it. All of the Urban Decay single eyeshadows are made to fit in to each of the build your own palettes as well as being able to just be used on their own. The Build You Own palettes are £8 and in mine I have two of the Moondust eyeshadows in Stargazer (gold) and Glitter Rock (pink). 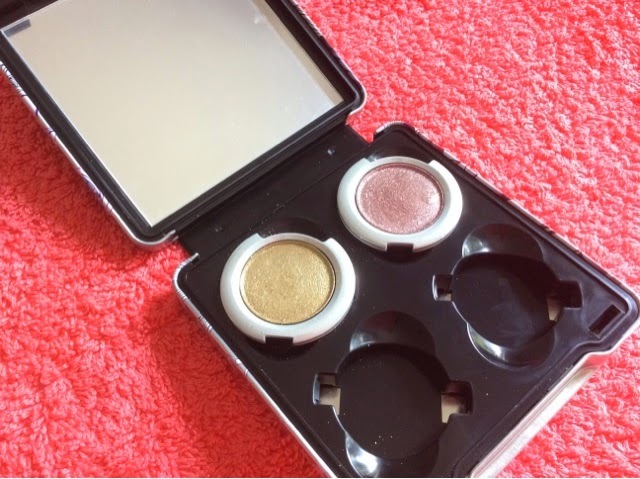 These are super cool glitter eyeshadows which cost £14 each. I will definitely be filling this palette with some more of the Moondust eyeshadows because I love me some glitter! 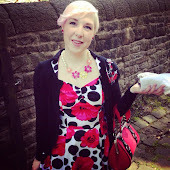 There are loads of other things that I would like from Urban Decay, they are a makeup company that really inspires me. I love the funky palettes, their bright colours, their chic neutrals, their ingenious textures and product compositions. Don't be fooled by this brand's quirky appearance their products are as high end and sophisticated as any. And that combined with the fact that they are bringing the fun back to makeup (just as makeup should be in my mind) makes me LOVE them. If you haven't had chance to check Urban Decay's products out yet pop in to Debenhams and have a look. Swatch some of their eyeshadows, run your hands over their palettes, heck sit down and have a bit of a makeover done. Just give them a try and let me know what you think.